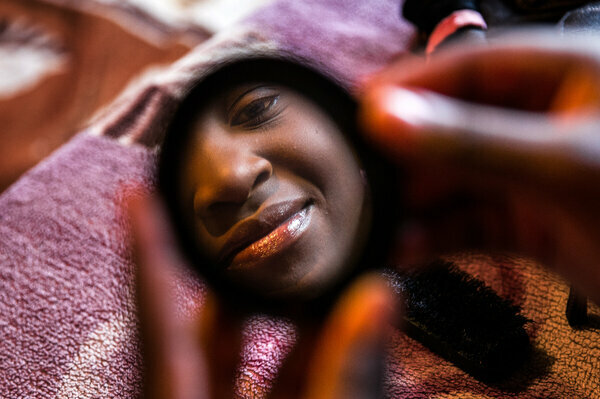 Madalitso Mulando knew what she needed to finish 10th grade: $150. That&apos;s the cost of tuition at Chinika Secondary School, a public high school in Lusaka, Zambia. Completing 10th grade was part of Mulando&apos;s dream to go to medical school and become a doctor. But the 15-year-old&apos;s parents were broke. "Yeah, I was alone. I was in my bedroom ... and I started, like, crying because Mom and Dad didn&apos;t have any money," she remembers. "And I was like, maybe I&apos;ll never go to school again because Mom and Dad didn&apos;t have any money." Zambia is one of the poorest countries in the world. 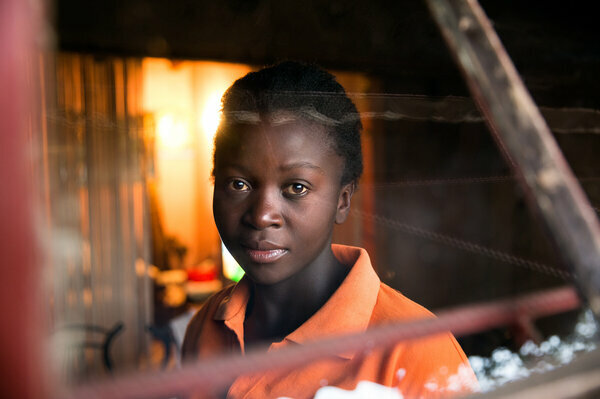 Mulando shares her room with her sister and two nieces — and a stack of dog-eared textbooks. "I like biology," she says, laughing. 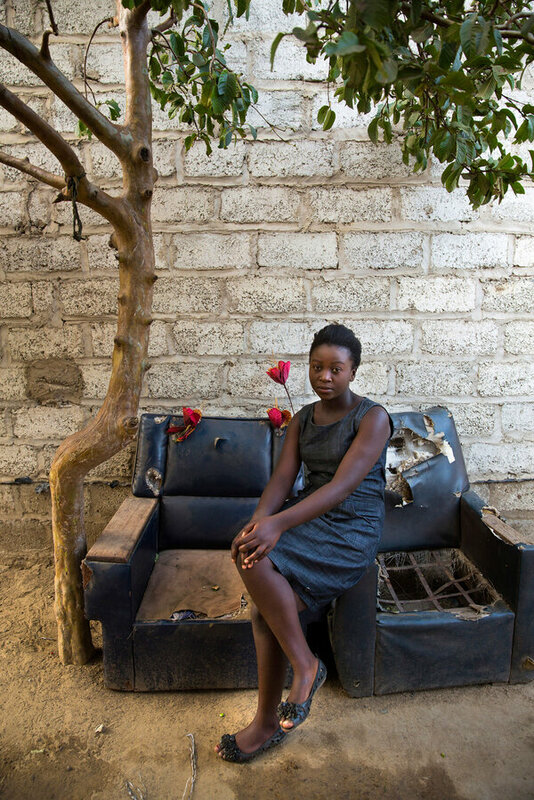 For most Zambian schoolgirls, that&apos;s where their education might have ended. 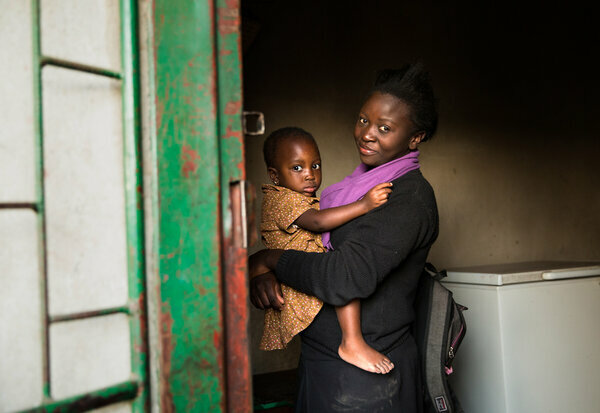 Most Zambian families live below the poverty line. 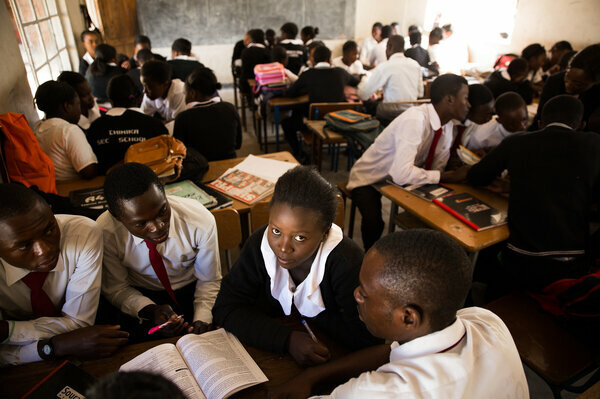 Most Zambian schoolkids, especially girls, never make it to 10th grade because their families can&apos;t afford it. One might see this as an unchangeable fact of poverty. But Kathleen McGinn, a professor of negotiation at Harvard Business School, sees it as a communication deficit. She says Zambian schoolgirls have to advocate for their interests in a way that American high-schoolers rarely need to. "In the U.S., it&apos;s illegal to take your kid out of school," says McGinn. 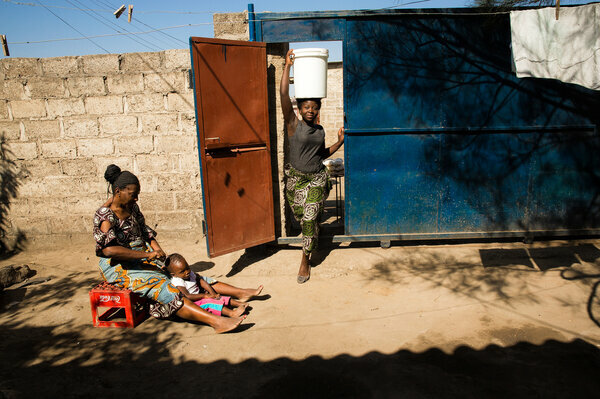 "In Zambia, you have to pay to keep your kid in school." Some programs have tried to remedy this by offering cash grants and other incentives to schoolgirls, but the well-intentioned money always runs out. So, McGinn and her colleagues Nava Ashraf and Corinne Low wondered: Could Zambian schoolgirls stay in school if they received training in negotiation — a version of the same training given to Harvard MBAs, undergrads and executives? Could techniques honed around an oak boardroom table apply in a slum in southern Africa? With the help of the Zambian Ministry of Education and the New Haven-based Innovations for Poverty Action, a research nonprofit, they&apos;re hoping to find out. 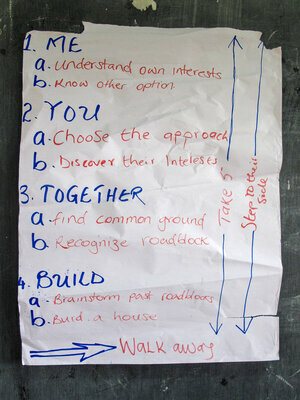 They wrote a curriculum to teach Zambian high school students the art of getting to "yes." It&apos;s part of a multiyear research study to see if a week of negotiation training can help Zambian schoolgirls stay in school and avoid getting pregnant. Earlier this year, we visited a high school in Lusaka, where coach Jean Mwape was leading a discussion with 50 teenage girls crowded into a tiny classroom. The students volunteered for this weeklong negotiation course taught by local university grads. At times, the language sounded like it was ripped from an arbitration manual, which, of course, much of it was. "Finding out the other person&apos;s interests helps you think of solutions to meet both your interests and theirs," Mwape says. "OK?" The girls were brainstorming ideas on how to ask open-ended questions to figure out what their parents really want — and how to speak more effectively with them. "How can we become better negotiators?" Mwape asks. Madalitso Mulando took this course two years ago when it was first offered. She found it so useful, she&apos;s back for a refresher, even though it means walking an hour each way from her house in Kanyama slum, past mangy chickens and mobile phone shops on flooded, muddy roads. Mulando hops from stone to stone across the huge puddles. She opens a metal gate, slips off her plastic shoes, and she&apos;s home. Her house is tidy and spare. The only decorations on the walls are her parents&apos; graduation photos. Mulando&apos;s parents care deeply about education. Her older brother and sister went to college, but her mom&apos;s grocery stand closed two years ago. Her father&apos;s hardware store is failing. And, so, one night this January her parents had to tell her they couldn&apos;t afford to pay her $150 yearly tuition. This wasn&apos;t the first time this had happened to her. In ninth grade, she missed a whole term while her parents struggled to scrape together tuition. But this time around, Mulando vowed to use her new negotiation skills to do some fundraising with her extended family. "I learned a lot in negotiation," she says. "If you want to ask something, you need to tell them what you want." If she were going to cold-call her relatives, she&apos;d have to be crystal clear about her intention to finish school. Because most schoolgirls do drop out, she would have to prove that she wouldn&apos;t end up just another statistic: that she was worth investing in. She took some deep breaths, as she&apos;d learned in the training, and asked to use her mom&apos;s phone. "I first called my cousin," Mulando says. "I was like, &apos;I passed my grade nine, but it&apos;s kind of difficult to pay my school fees.&apos; "
Her cousin was impressed enough to send her $55. Then, she called her older sister, who gave her nearly $70. And somehow her parents came up with the last $25. But she still needed money for textbooks. So she called the person her mother least wanted her to call: her uncle, Neba Mbewe. "I should say I&apos;m in a privileged position to help others," Mbewe says. He&apos;s the managing editor of a big Zambian newspaper. He has helped Mulando&apos;s family financially several times in the past. But he also made it clear that he won&apos;t be their piggy bank. He won&apos;t bail out his nieces and nephews for what he called her parents&apos; business mistakes. Mulando&apos;s mother, Dorcus Mulando, says the idea of begging from her older brother was shameful. He&apos;d refused them so many times before. So, when her daughter asked for the phone to call her uncle, Dorcus Mulando simply warned her: "If he says he doesn&apos;t have [the money], don&apos;t get hate." Don&apos;t get hate in your heart, she warned her daughter. Like most of us, she saw the situation as a fixed pie. Her brother had more, she had less. Any act of asking felt shamefully like begging. Mulando, though, had learned to see it differently. She&apos;d learned about things like "core values" and "aligning incentives." This 15-year-old girl didn&apos;t feel she was asking her uncle for money. She was expressing to him how much she desired to finish her education, something he has often encouraged her to do, and what she needed to achieve that goal. It&apos;s a subtle shift, but it made the difference. "Now that you&apos;re mentioning it, she was more focused on exactly what she wanted and how that would benefit her," her uncle recalls. "The minute someone says &apos;education,&apos; that certainly hits a nerve in me." "Excellent," he says. "She did a good job!" Mulando&apos;s uncle shelled out the $25 that she needed to buy all of her books for the year. And Mulando was able to enroll in 10th grade. For a poor country like Zambia, these small choices matter. World Bank research shows that if girls in developing countries complete high school, there&apos;s a better chance they&apos;ll earn more and their kids will go further. The choices of teenage girls can have a socioeconomic impact across generations. For Mulando, making it to 10th grade is only the beginning of a long string of negotiations to come. She&apos;s already trying to come up with a plan for how to pay for 11th grade, not to mention medical school. Still, she believes she&apos;ll be a doctor one day. And by the time her niece, Chichi, is 15, eight years from now, she hopes Chichi will come calling to negotiate with her. In many countries, the decisions teens make at 15 can determine the rest of their lives. But, often, girls don&apos;t have much say — parents, culture and tradition decide for them. In a new series, #15Girls, NPR explores the lives of 15-year-old girls who are seeking to take control and change their fate. No matter where you live, being a 15-year-old girl can be tough. Tell us: What was the hardest thing about being 15? Post a photo of yourself as a teen with your answer on Twitter or Instagram, and tag your post with #15Girls and @NPR. More details here.